In the year that the WI celebrates 100 years I have decided to get my pinny on and start preserving! I have been making beetroot and apple chutney with the last of my vegetable patch and now I want to eat it with everything. On a more personal note, this week is #babylossawareness week and I have been saying thanks to my Angel for giving us baby A. Baby A is growing up so quickly – she is 12 weeks already! – and as the Autumn air blows in I can’t quite believe where this year has gone. Last week I had two fruity favourites. 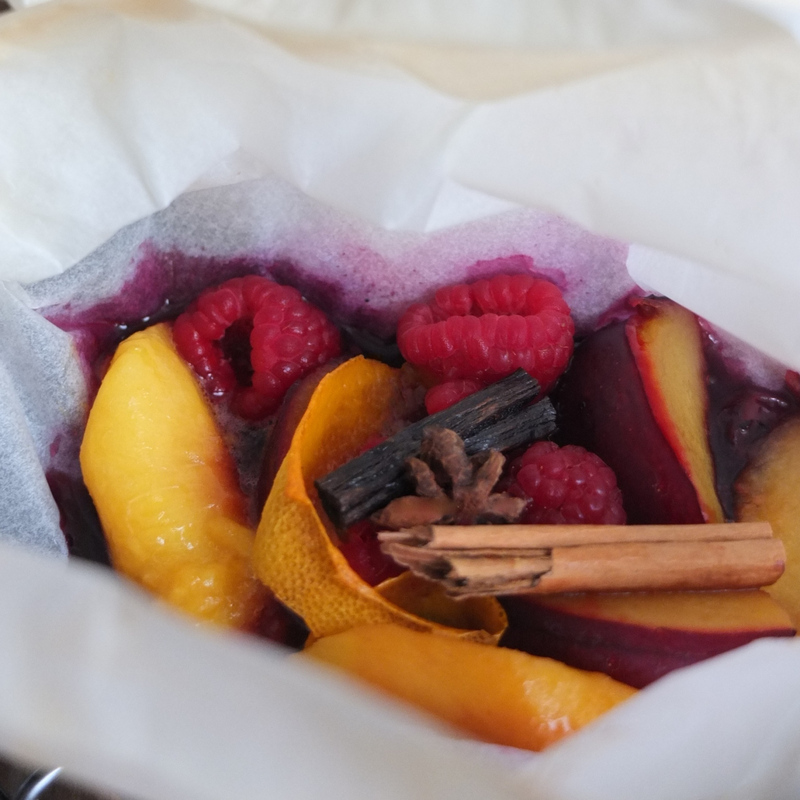 This spiced fruit en papillote from Lili’s Cakes sounds incredibly posh but is actually a simple way to steam fruit in a bag. The addition of orange peel and spices gives it a lovely Autumnal feel. 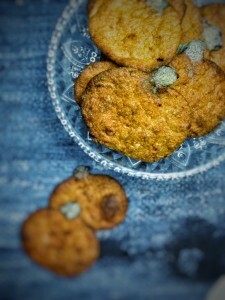 The other seasonal sweet that caught my eye were these healthy pumpkin cookies from Vie de la vegan. They are very allergen friendly, wheat free and even squeeze in some goodness from the pumpkin and banana. 4. 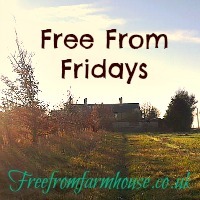 Tweet your link to @freefromfarm using hashtag #freefromfridays so I can spread the word! Aww thanks for featuring my Healthy Pumpkin Cookies, Emma! I can’t believe baby A is 12 weeks old either, WOW that has gone fast! Good morning Emma! Thanks for hosting! I’m sharing Apple Fritter Muffins. I hope you have a great week! No problem! Hope you have a lovely week too.